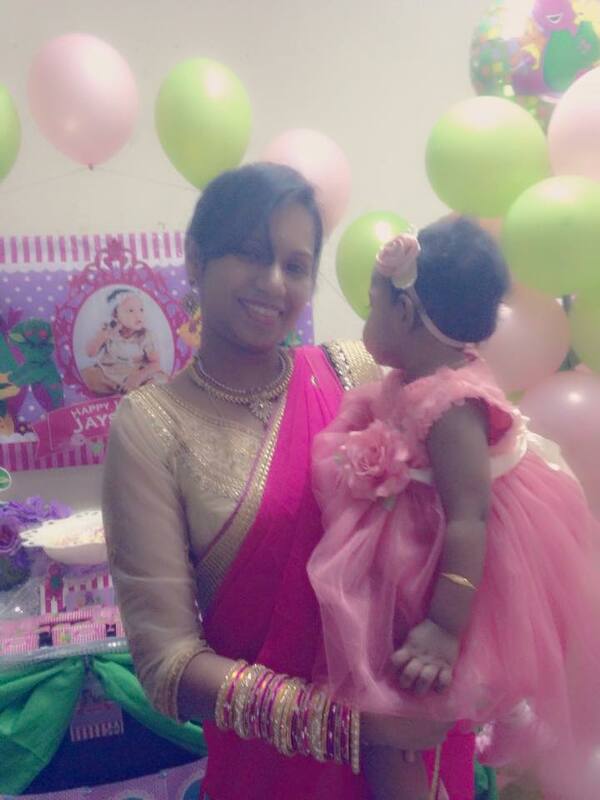 This job was done sometime in 24 May 2015 but the posting was deleted due to a sabotage work to our website and fb hacking by an irresponsible and unethical person. 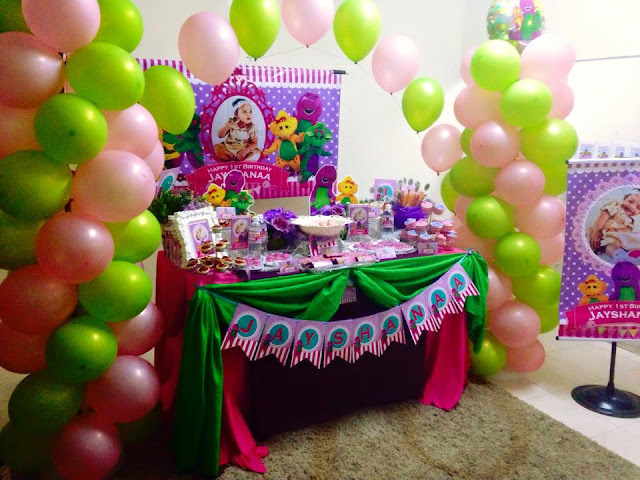 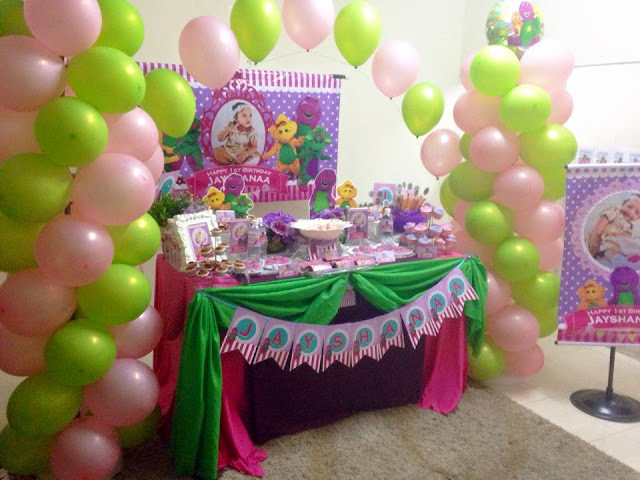 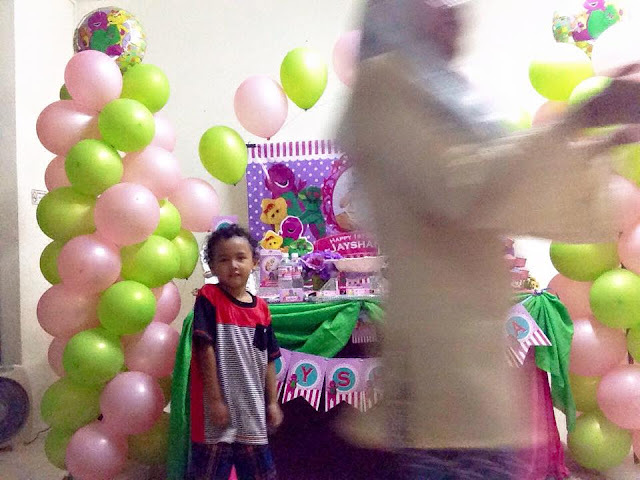 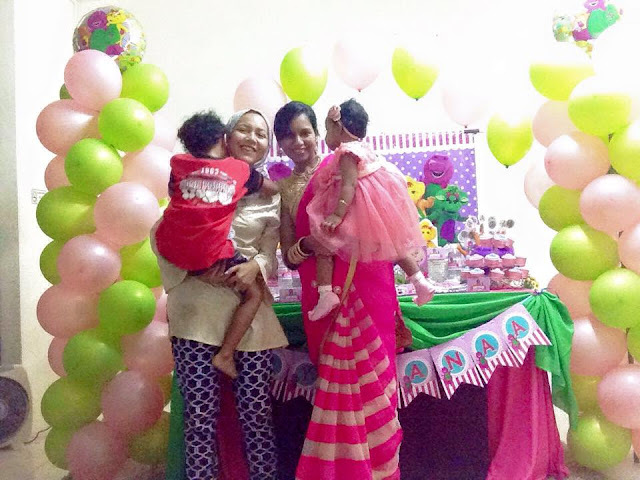 Client Vaani chose to hold her daughter's first birthday party at a rented bungalow homestay somewhere in Seri Kembangan. 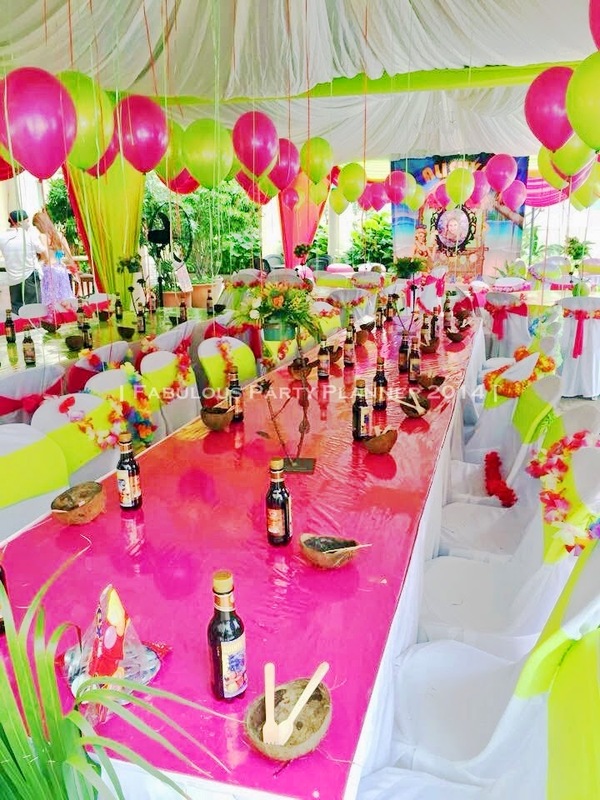 Yes, it will be much easier to rent a place outside your location if you don't want to deal with the post-event messes and hassles. 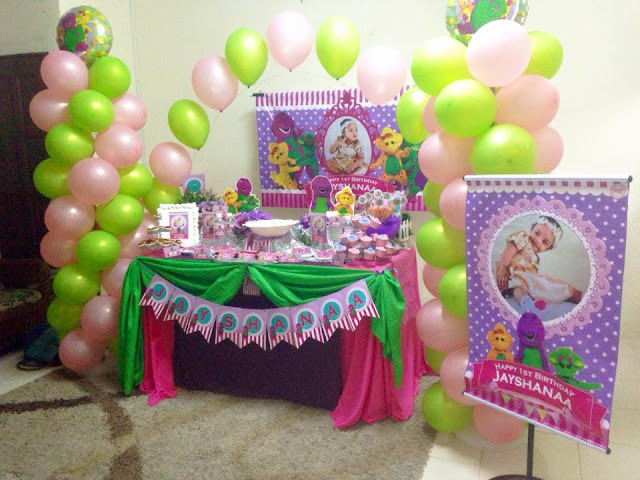 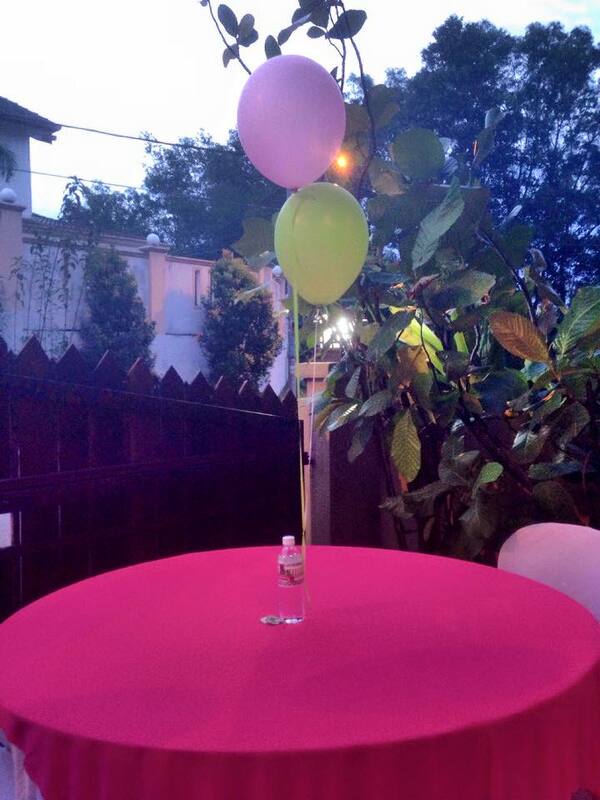 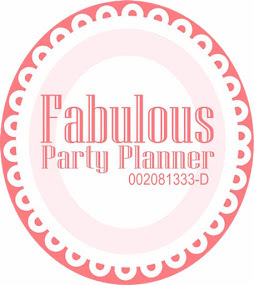 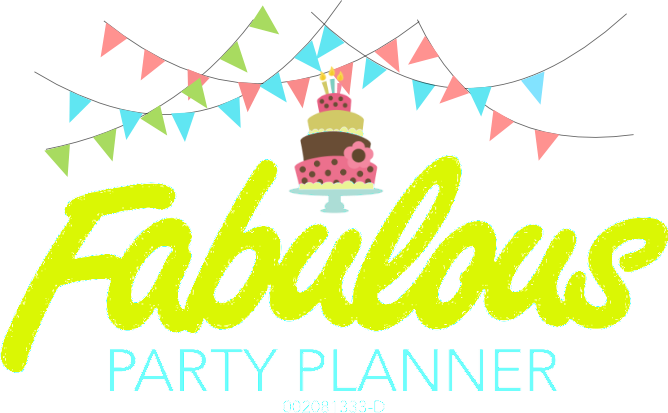 We came in as her party decorator, we also arranged for her food & beverages from an Indian caterer for her party. 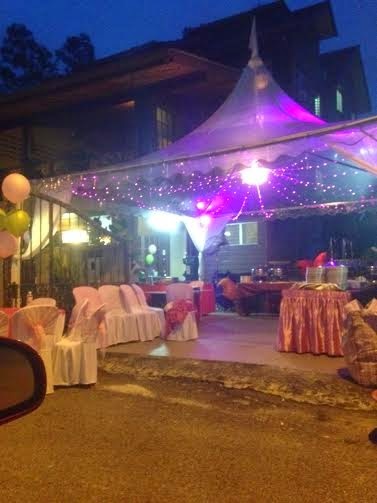 Their service comes with tables and chairs set up outside the house. 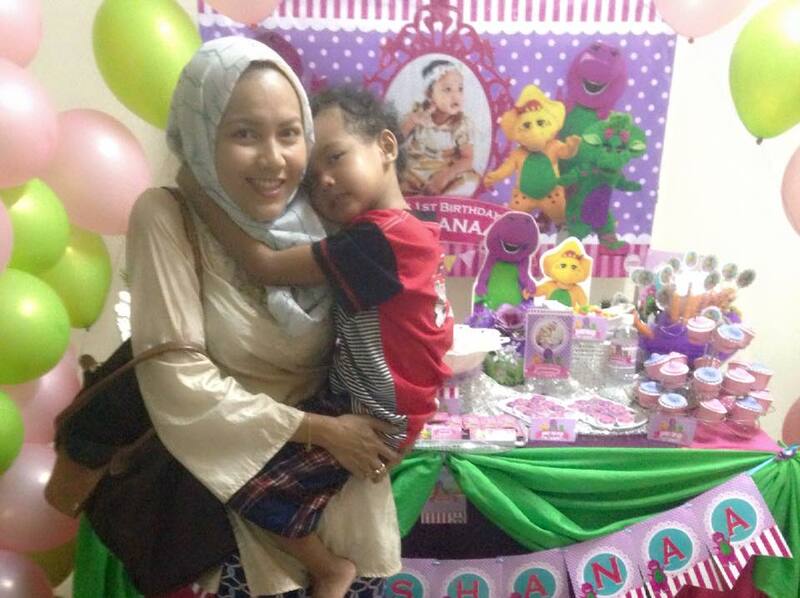 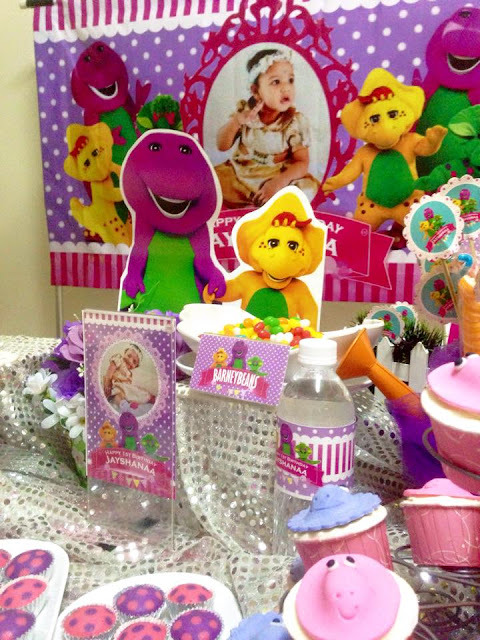 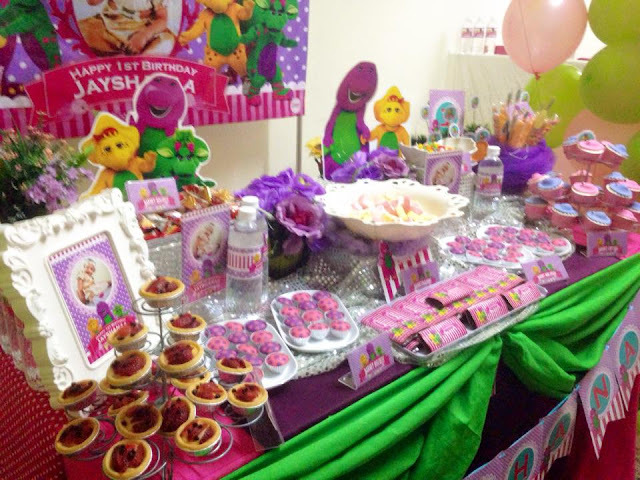 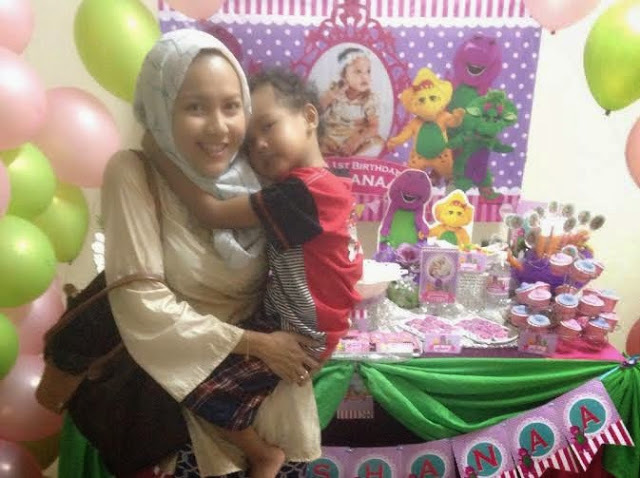 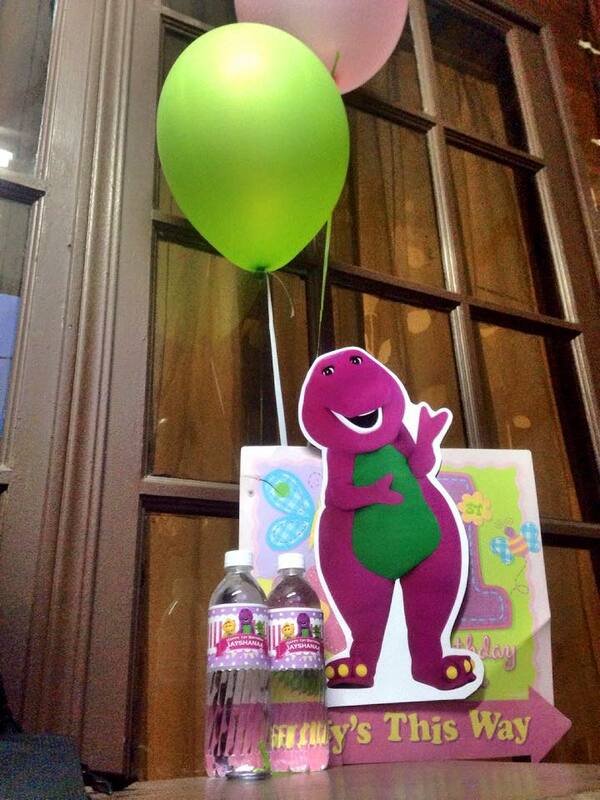 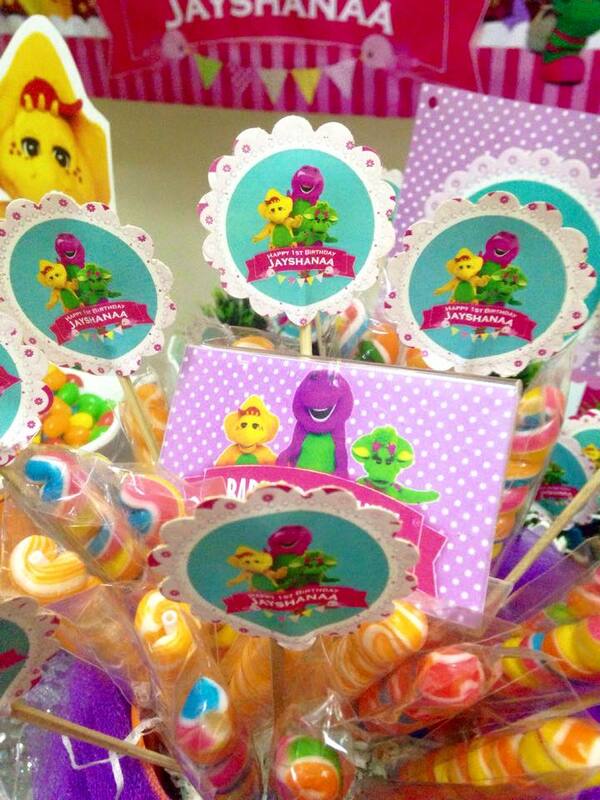 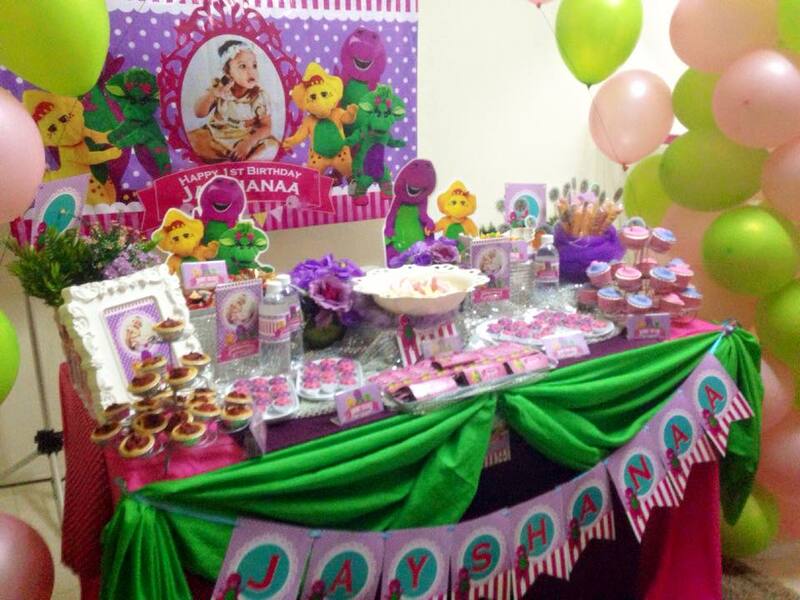 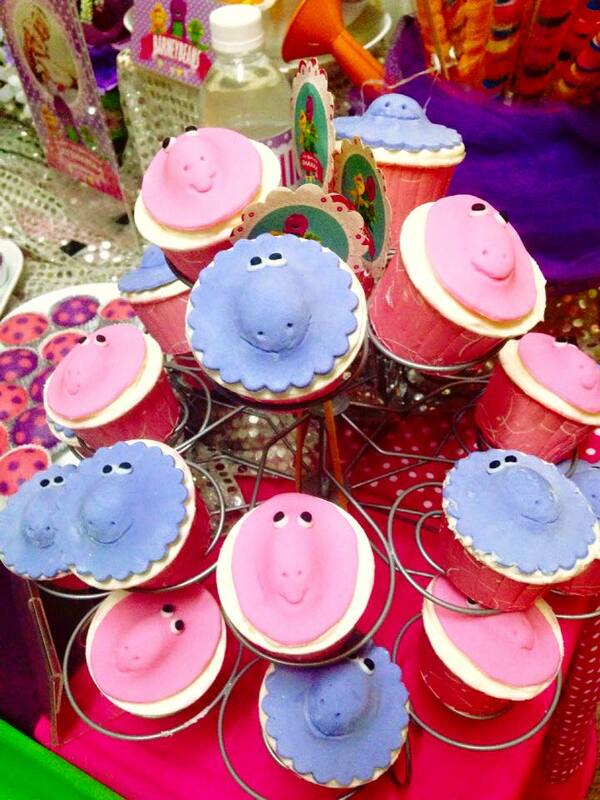 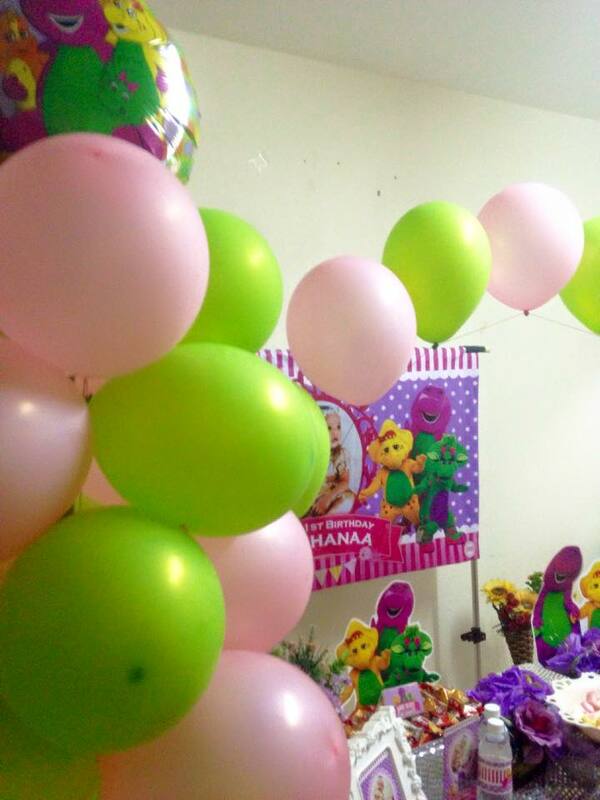 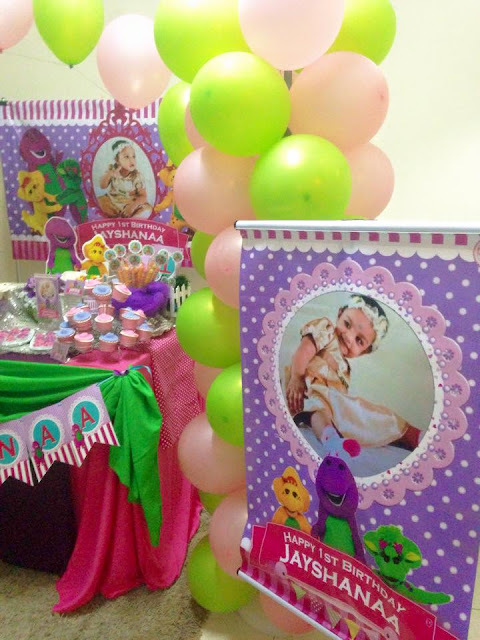 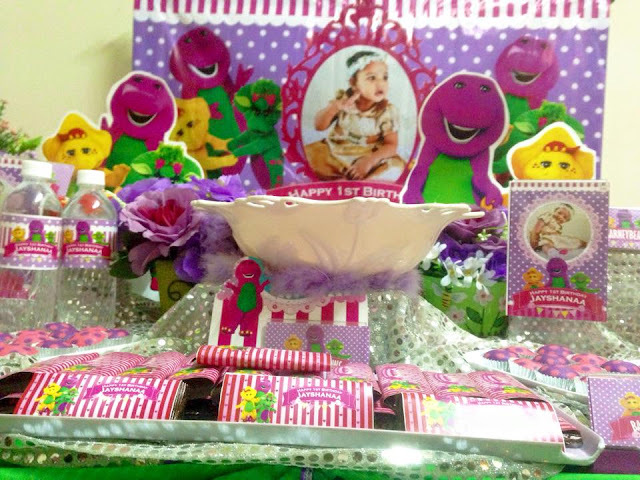 Since her daughter loves Barney, there goes Barney party to commemorate Jayshanaa's First Birthday.